My husband recently said to me that if I were to become the breadwinner, he’d take over all the cooking. WHAT. This man was serious. Needless to say, I haven’t stopped writing since. It also got me thinking about all the other women that are in the same boat as me. 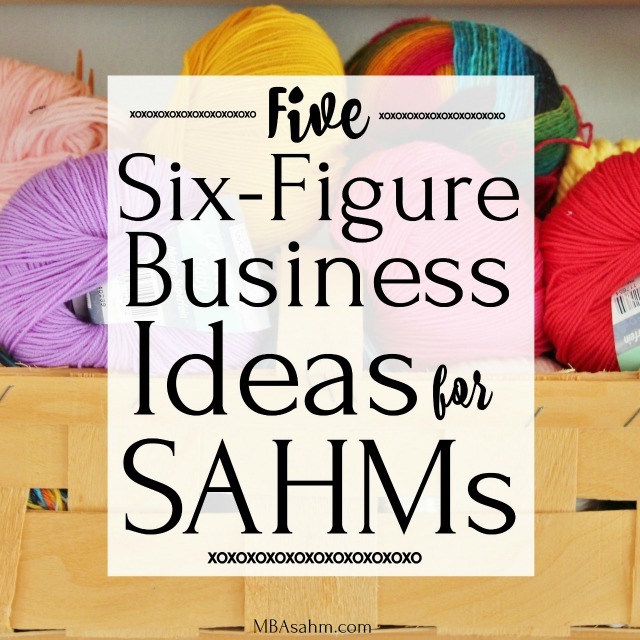 So it’s time to come up with a list of six-figure business ideas for stay at home moms! Jobs and businesses that can be started during nap time or when Moana is singing. Businesses where we retain full control over our schedule so we can take the whole day off for a sick kid or all of a sudden spend 8 hours a day during a week of camp. What we’re talking about are good, high-quality six-figure businesses for stay at home moms that already have proven business models and case studies in place. Businesses that won’t necessarily make you enough to end world hunger, but are actually enough to support your entire family, make more than your husband, and potentially change the trajectory of both of your lives. And most importantly, jobs and businesses that you can do while you’re also staying at home with your kids. When I read about Jessica’s story a few years ago, I was completely blown away. She found immense success as an Amazon FBA seller (basically, buying things at brick and mortar stores at a discount and selling them to other people on Amazon for a higher price…but with Amazon taking care of the whole fulfillment process). Her success was strong enough that her husband, Cliff, was able to quit his job and join her online pursuit. Together, the two of them have built an incredible six-figure online business both as FBA sellers and by teaching others how to get started as an Amazon FBA seller. They offer free webinars on what it takes, so sign up for one of them if this interests you! Selling items on Amazon is competitive, but if you find the right niche and you’re a natural shopper, this can be an unbelievable opportunity to create a six-figure business while still being a stay at home mom. The FBA component (FBA = Fulfilled By Amazon) means that you just ship your items to Amazon and they manage everything else. This is extremely valuable for moms that don’t have the time to ship or return items. What it means is that you buy and ship when you have time. For more information on how to get started as an Amazon FBA Seller, check out Cliff and Jessica’s blog or signup for their FBA Seller free webinar. Freelance writing is what brought me my stay at home mom freedom, so I know how powerful it can be. I’m telling you, you have no idea how many businesses and corporations need writers! One of the greatest things about freelance writing is that there is immense variety in what can be written and you can scale the rate you charge very, very quickly. But more importantly, you can write at any time. You own your schedule. 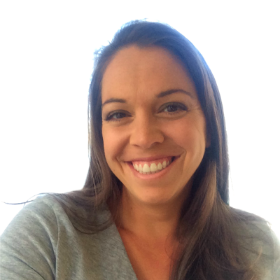 Holly, from Earn More Writing and Club Thrifty, is the queen of six-figure freelance writing. She has been a successful six-figure freelance writer for years, in addition to managing a blog. She now offers free webinars and courses to walk you through the process of becoming a six-figure freelance writer, so if you’ve got writing in your blood and want to scale your business quickly, check out her site. If you read my blog a lot, you’re probably sick of me suggesting you start your own mom blog. But I can’t emphasize this enough – there is an outrageous amount of money to be made in blogging. By far, this is one my favorite six-figure business ideas for stay at home moms. Taking care of your kids is part of the work. When you have a mom blog, you are blogging about your kids, about being a parent, and everything else that falls in the middle. This doesn’t mean you need pictures and social security numbers of your kids plastered across the internet – you get to decide just how transparent you will be. What it means is that the activity you do with your child, the meal you make them, the frustrations you’re feeling – that all of a sudden becomes something that is contributing to your business. Your mom blog becomes the foundation for your actual six-figure business. In the beginning, you don’t have much time, so you will spend it getting a feel for blogging, finding out your perfect niche, and building up your network. This will take years when you only have a few hours a day. But then a beautiful thing will happen. Your kids will start school and you will all of a sudden have more time on your hands. You will have built a foundation that can be scaled quickly. Not only that, but you will have experienced enough of blogging that you’ll be ready to start different websites that may not even have to do with parenting. This is where the six-figure business is born and this is when you become a six-figure blogger. Etsy is the land of six-figure stay-at-home mom businesses. Honestly, to say “open an Etsy store” is almost too broad – there’s that much potential for a six-figure business! But truly, nothing makes me happier than seeing successful Etsy sellers because the vast majority of them are women…and most of those women are moms that found immense success selling their handmade creations. If you are really good at making anything, it could have the potential to sell on Etsy. Do you make handmade gifts for people? Are there things that friends and family rave about? Have you actually been asked to make something for someone? If so, these are all indications that you have potential for an Etsy store. One of the best ways to get ideas for what sells on Etsy is to simple browse through what they offer. You will be shocked – and hopefully inspired – by what so many creative people have come up with. Christina, over at Christina CEO, is a great example of the potential Etsy holds. She has created her own six-figure Etsy business and now provides a ton of resources on her blog so that others (like you!) can do the same thing, so check it out if you’re an aspiring Etsy seller. I know I said I wouldn’t suggest a J.K. Rowling idea, yet here I am telling you to write a book! But here’s the thing – there’s hundreds of thousands of people making six figures from writing books. And nowadays, it doesn’t take much capital to publish a book. In fact, if you want to go the route of an ebook, it could cost you very, very little…and you still have the potential to make six-figures from it. You could write children’s books, romance novels, or even educational non-fiction books. If you have an expertise in something, you could write about it! Publishing a book is absolutely on my bucket list, so I’ve been keeping my eye out for quite some time on good resources to help make that happen and my favorite discovery has been a blog by Jeff Goins. He also offers courses if you’re really ready to make this happen, but his blog alone has been a wealth of inspiration and information for me. He is a writer first (author of The Art of Work and You Are a Writer (So Start Acting Like One)) and blogger second, not the other way around, so you get a really valuable perspective. If writing is something you love, then I highly recommend you take a look at his blog! 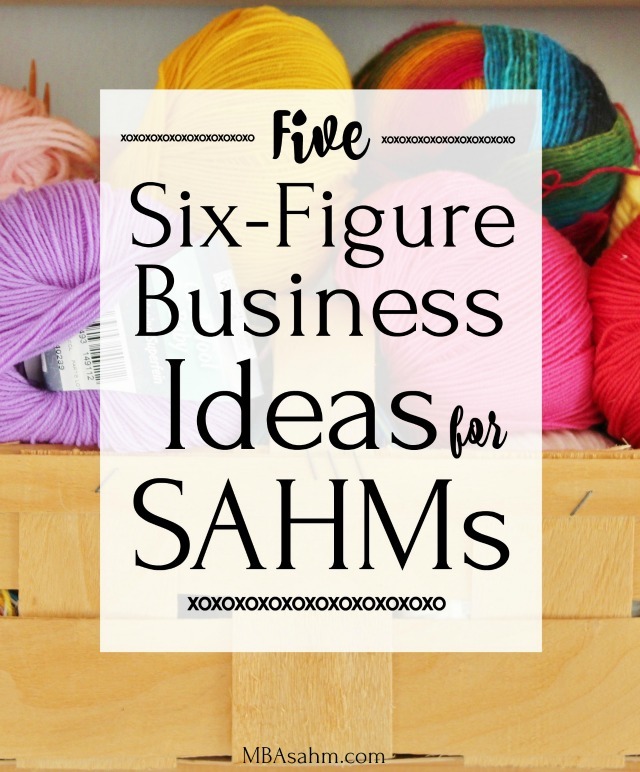 I hope these six-figure business ideas for stay at home moms is able to provide some inspiration for you! Time to go out and make your dreams come true…while the kids are napping. 😉 This blog did that for me and my entire life will be different because of it. Good luck to you! Thanks for this post Nikki. Very inspiring and it certainly fell into very receptive ears as getting into writing has been in my mind a lot lately. I wanted to add that I’ve been enjoying reading your blog as well. Thank you for sharing the findings and ideas. Much appreciated an helpful!